VANCOUVER — A Clark County Superior Court judge has set bail at $2 million for murder suspect Mitchell Heng. 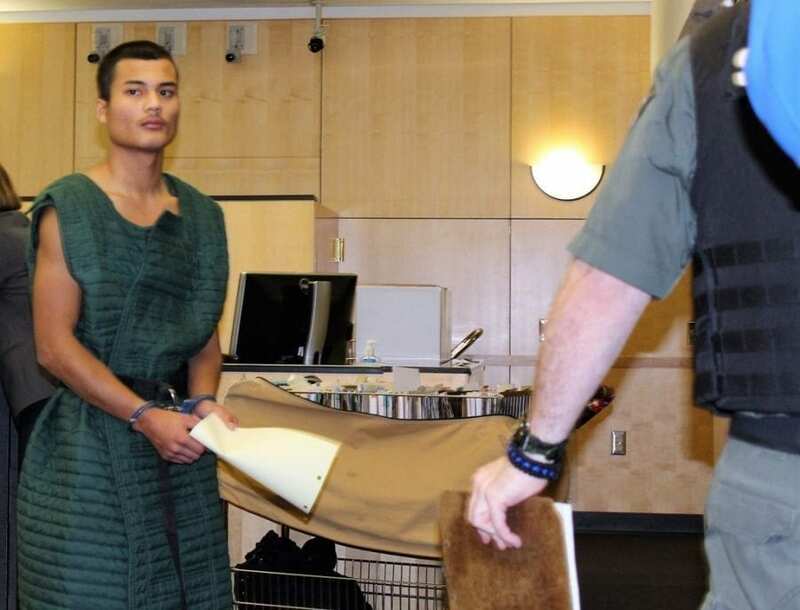 Heng, accused of first-degree counts of murder, arson and robbery in connection with the death of Oasis Food Mart worker Amy Hooser and the subsequent burning of the Vancouver convenience store, made his first appearance in court Friday morning, Jan. 20. Superior Court Judge Scott A. Collier instructed Heng, who was not accompanied by an attorney, to not speak about the details of the case. Clark County Senior Deputy Prosecuting Attorney Kasey T. Vu asked Collier to set Heng’s bail at $2 million, saying the case was “violent and premeditated” and noting that Heng has prior convictions for disorderly conduct in 2008 and for assault in the second degree in 2013. Vu also said that authorities have been unable to verify a current address for Heng, who was arrested on Thu., Jan. 19, at a relative’s Vancouver home, and that this makes him more of a flight risk. “Based upon the nature of the charges, we asking the court to set bail at $2 million,” Vu said Friday morning. When Collier asked Heng if he had anything to add to the matter of bail, again cautioning the suspect to not discuss the details of his case without an attorney present, Heng said no and lowered his head. Minutes after the judge set bail and Heng was released back to the Clark County Jail, a small circle of Heng’s family and friends gathered together on the steps outside the courthouse, hugging each other with at least one woman proclaiming Heng’s innocence. Heng’s arrest is connected to the Sun., Jan. 15, fire at the Oasis market, located at 13412 N.E. Fourth Plain Road in Vancouver. Fire crews from the Vancouver Fire Department responded to the three-alarm commercial fire around 5:30 a.m. Sunday morning and reported seeing “a large volume of fire coming from the structure.” A total of 36 fire personnel from VFD and Clark County Fire District 3 fought the fire for more than an hour, but the building was a total loss. When investigators with the Clark County Fire Marshall’s Office and the Clark County Major Crimes Unit came to investigate the cause of the fire later that day, they discovered a body in the rubble of the burned-out convenience store. Police later identified the victim as 47-year-old Amy Marie Hooser, an employee of the store and Vancouver resident. After determining that Hooser died of smoke inhalation and blunt force trauma, police ruled her death a homicide. On Thursday, police charged Heng with murder in the first degree, arson in the first degree and robbery in the first degree, and booked him into the Clark County Jail. 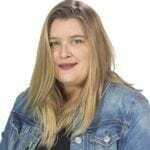 Friends and family of the murder victim, Amy Hooser, a Vancouver mother of three, have set up a Go Fund Me account to assist Hooser’s three young daughters. Hooser’s friends also are planning a vigil for the Vancouver mother from 7 to 9 p.m., Sat., Jan. 21, at Diamond R Fastracks and Go Karts, 13510 N.E. Fourth Plain Blvd., Vancouver. For more information, visit the Facebook site.